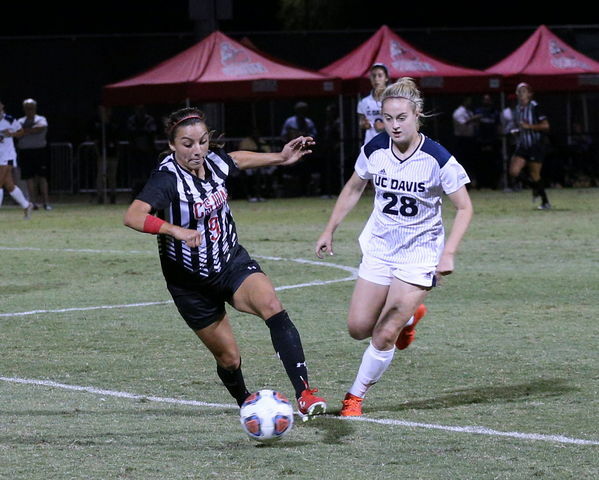 CSUN (8-7-2, 4-4-1) rallied by scoring two unanswered goals defeating visiting UC Riverside (6-11-1, 2-7-0) 2-1, which helped capture a Big West tournament playoff berth on senior night. The Matadors trailed 1-0 in the first four minutes when UC Riverside sophomore Ricardo Ruiz scored a goal off of a free kick through a wall of CSUN defenders from about 25 yards in front of the goal. 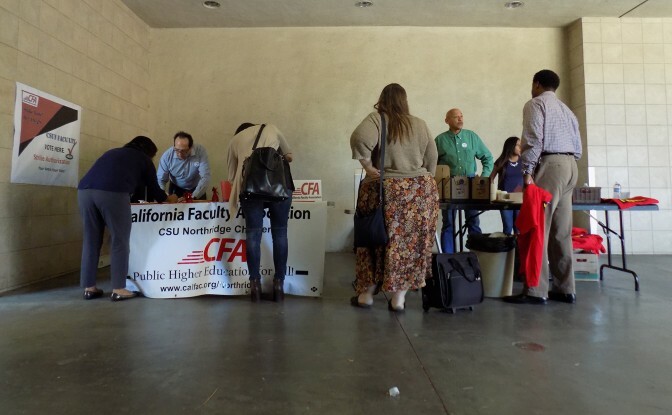 Though UC Riverside led. 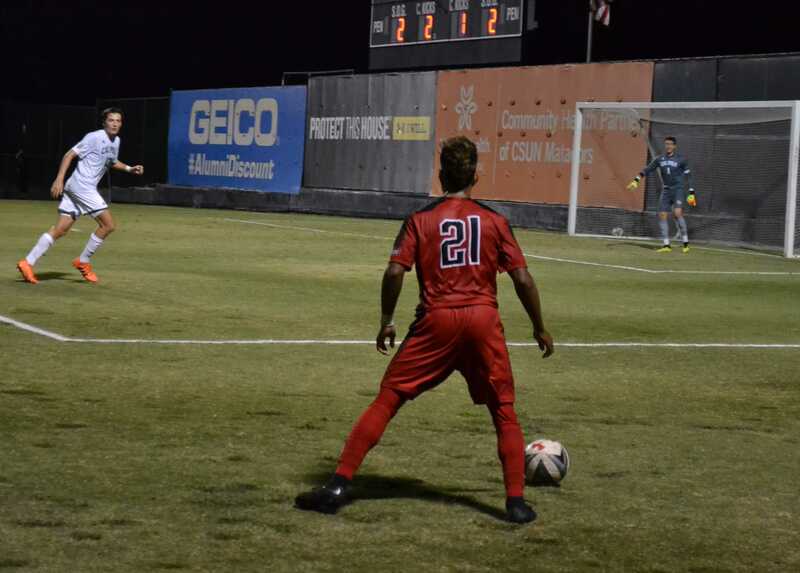 later in the first period CSUN senior forward Carlos Gonzalez was fouled, which led to a Highlanders yellow card, and allotted the Matadors a penalty kick opportunity. The Matadors chose senior defender, and captain, Trevor Morley for the penalty kick and Morley drilled it tying the game at 1-1 in the 14th minute. After the penalty kick goal, the game stayed tied for most of the game until the Matadors broke through in the 74th minute. 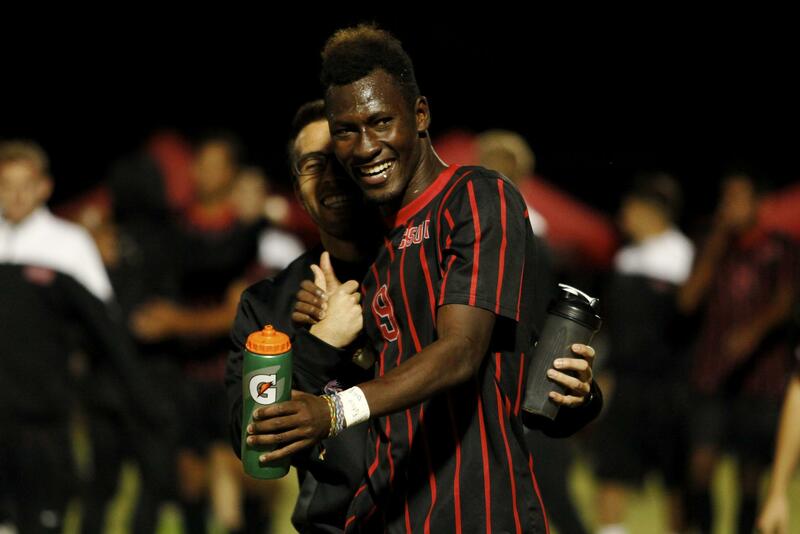 CSUN sophomore forward Papi Diouf scored the eventual game winning header goal after a long throw in by junior defender Gabe Robinson. Diouf has only been back three games, after missing numerous games, but his impact has been felt in the Matadors late push for this playoff clinching opportunity. 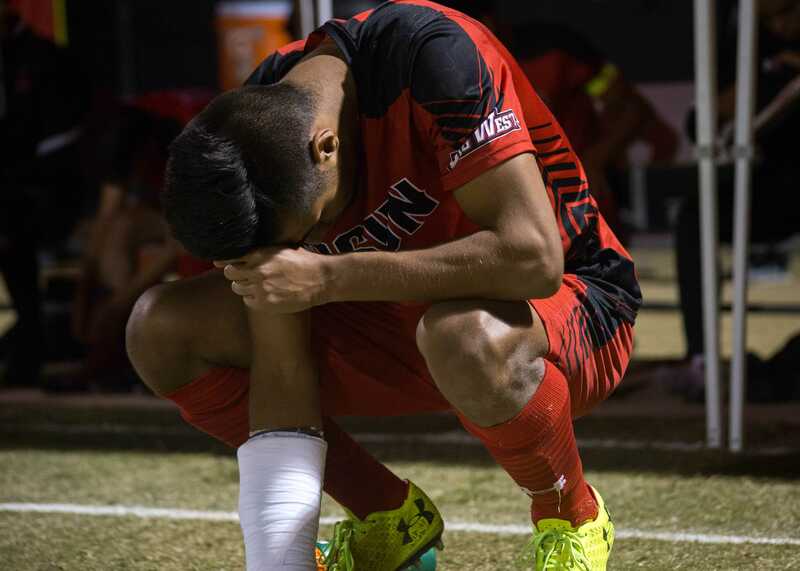 CSUN senior goalkeeper Adam Hobbs stifled UC Riverside after giving up the early goal. 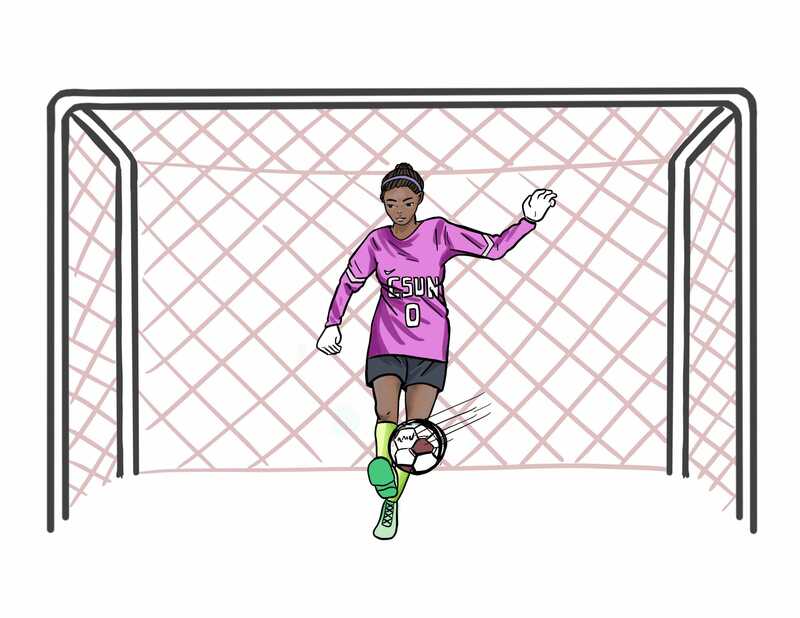 They had 11 shots and five corner kicks, but nothing seemed to faze Hobbs who had three saves, none more important than a leaping save attempt with six minutes left helping keep the Matadors 2-1 lead. CSUN, up until this point, had zero wins on their home field in conference play, but they were determined to not let this one get away from them. The Matadors will wrap up their regular season campaign when they travel UC Irvine to play the Anteaters at 7 p.m. on Saturday, Oct. 31.